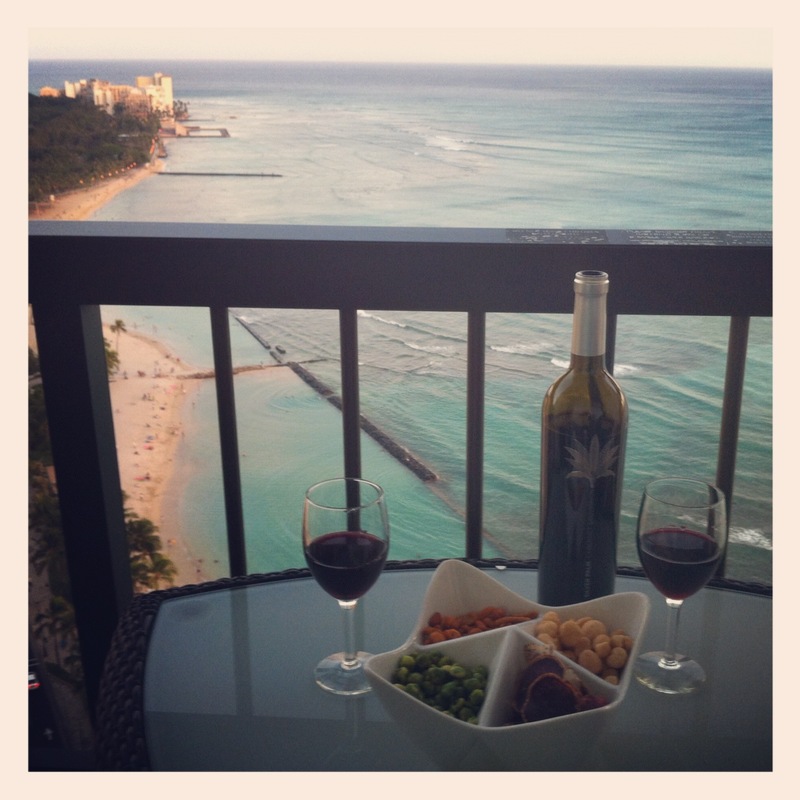 Hawaii is like a second home to me. I have family there, and spent most of my childhood summers on Oahu. The island holds a special place in my heart with its vibrant culture, amazing food, and some of the most beautiful beaches in the world. After I graduated from college and vacation time became scarce, I stopped joining my family on our annual trips. This past summer was the first time in five years that I’ve been able to make it back to Oahu. It’s funny how returning to the places you knew as a child can evoke such strong feelings and memories. For me, the familiar flavors of malasadas and shaved ice bring back vivid memories of time spent with my family and good friends. I thought I’d share a few of my favorite places with you–both old and new. These are not the type of establishments you’ll find gracing the glossy pages of a travel magazine. (In fact, don’t be alarmed if you look around and realize that you’re the only non local within 25 feet.) These are hole-in-the-wall, off-the-beaten-path, no-frills kind of establishments where good food is the only guiding principle. No hype, and completely casual. Just as it should be in Hawaii. 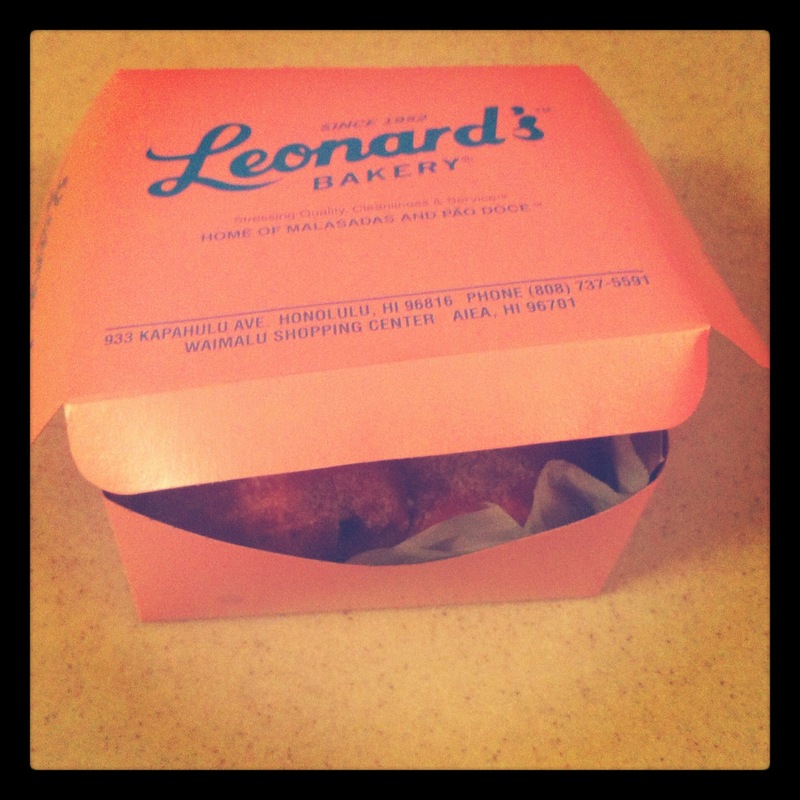 Leonard’s is an Oahu institution, with its freshly-baked malasadas (Portuguese donuts) and pao doce (Portuguese sweet bread). The malasadas are filled with everything from custard and chocolate to jams and haupia (coconut pudding). The haupia malasada will always hold a special place in this girl’s heart! This tiny hole-in-the-wall establishment features a dizzying array of Japanese and Hawaiian food. Grilled saba, chicken long rice, veggie tempura, nishime, onigiri, furikake musubi…the list goes on and changes on a daily basis. I can only describe it as a “choose your own adventure” bento establishment. You walk up to the counter, point at the food you want, and basically create your own personalized bento. 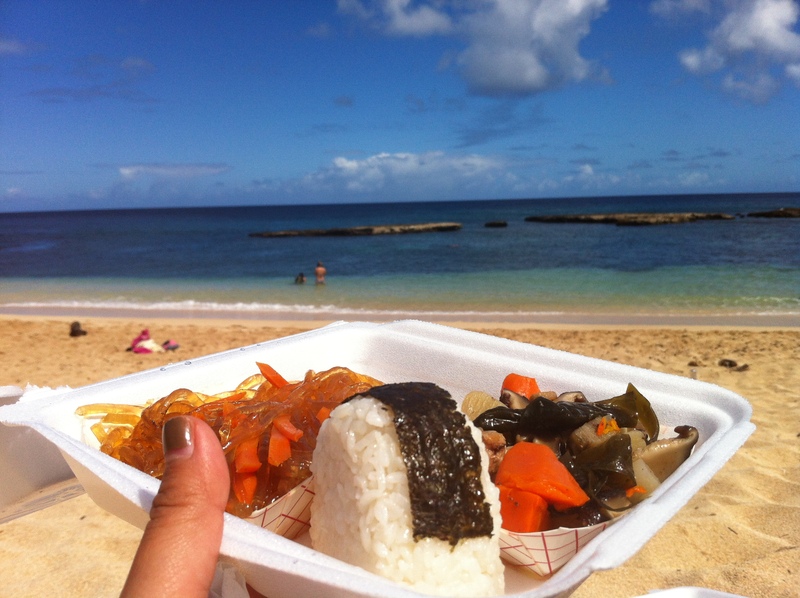 My recommendation is to get your bento and head to the beach to get your eat on. Shaved ice is really big in Hawaii. I mean, seriously big. While Matsumoto on the North Shore is definitely the most popular shaved ice establishment, I think Ice Garden wins for the most unique flavor combinations. 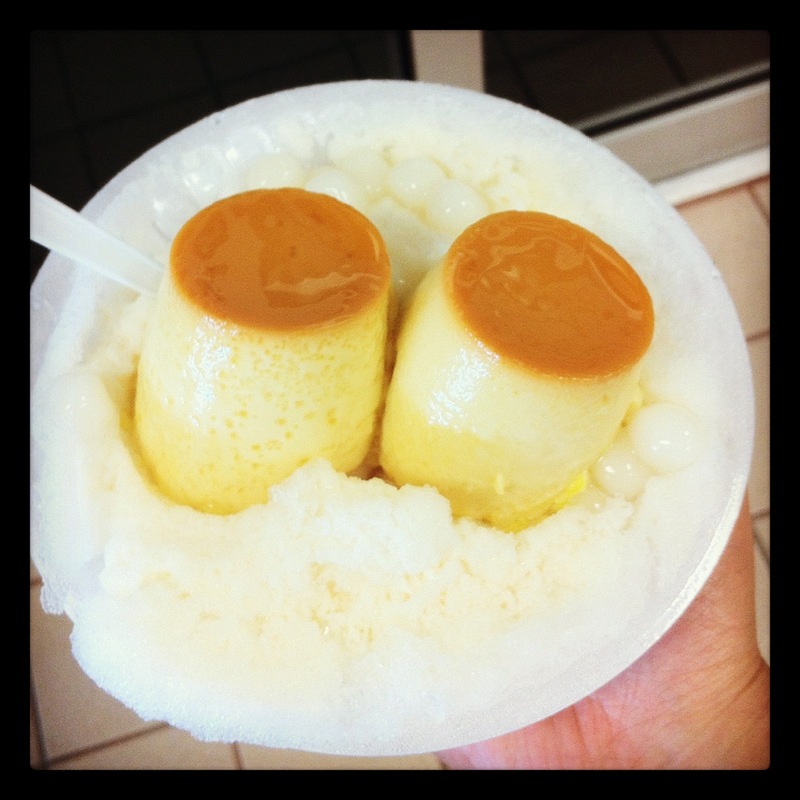 My favorite is the mochi, flan, and evaporated milk shaved ice. Don’t knock it ’til you try it! Service here is extremely slow, but rest assured that the finished product will be delicious. I know coconut products are all the rage these days, but I’ve been geting my coconut on at the Aloha Stadium Swap Meet since the nineties, folks. It’s all about the fresh coconut. I highly recommend the Aloha Stadium Swap Meet in general if you’re looking for cheap souvenirs to bring home. While you’re there, look for the tiny older man selling fresh coconuts out of the back of his pickup truck. You’ll identify him by his giant machette and notable lack of English. You’re just going to have to trust me on this. 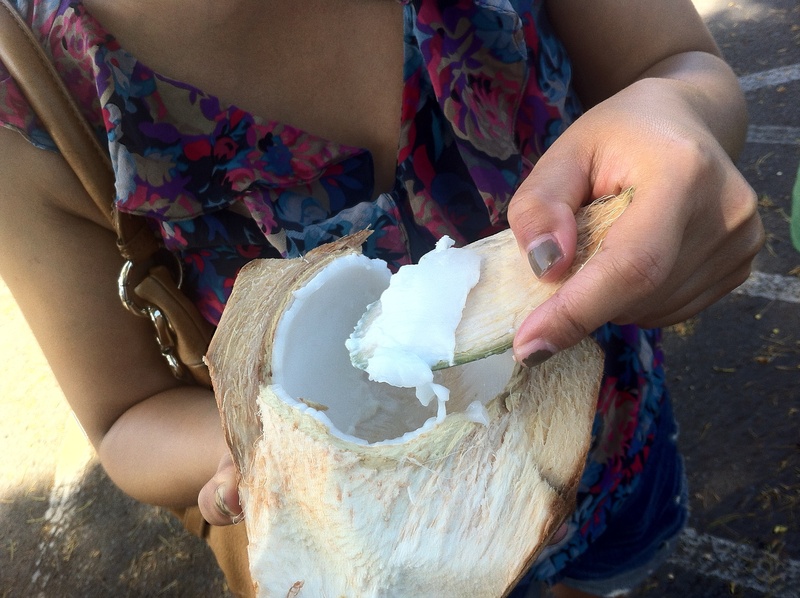 Once you drink all the coconut water, bring back the shell and he’ll cut it in half so you can dig into the meat. 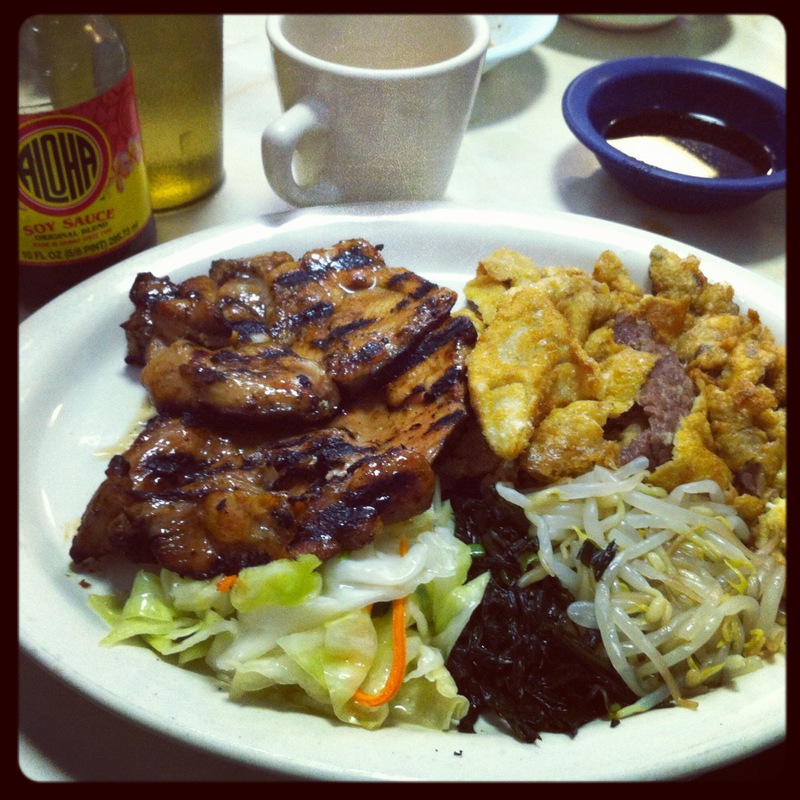 This is the quintessential Korean BBQ food that is so popular in Hawaii. Kim Chee is fast, delicious, and easy on the budget. There are a few locations throughout the island, but this location happens to be my favorite. 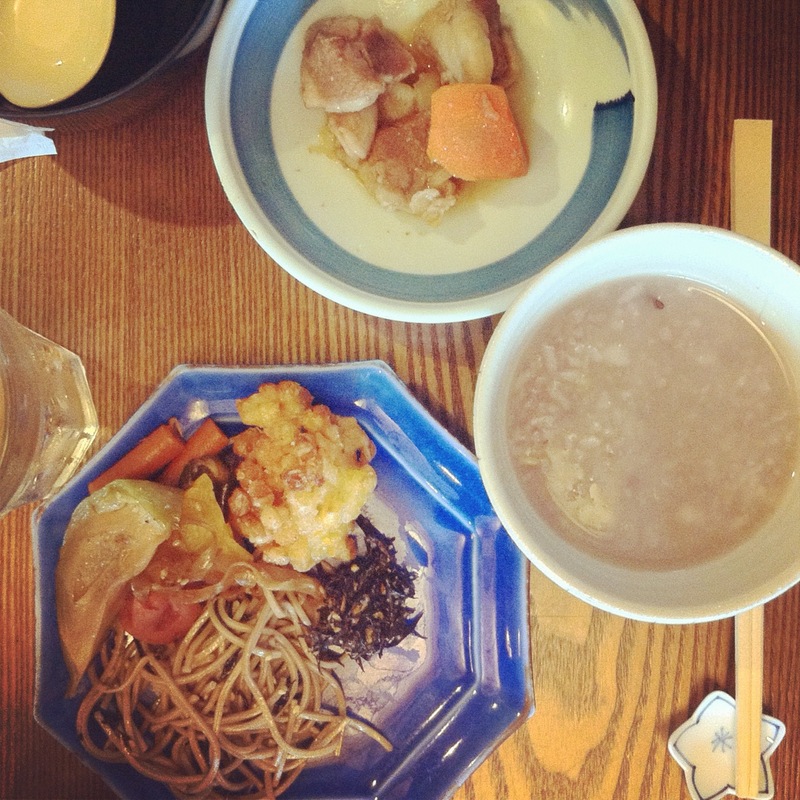 If you’re looking for a very traditional Japanese buffet, this is it. This is nothing like an American-style buffet with endless choices and mass-produced quality. The food choices are slim, but the quality is outstanding. The brunch is offered on weekends and costs $15. I highly recommend making reservations in advance. When my uncle told me that he wanted to take us to a bowling alley for dinner, I thought he was crazy. Little did I know that this bowling alley serves up some of the best local food around. Their fried chicken is outstanding, as is their furikake crusted ahi. 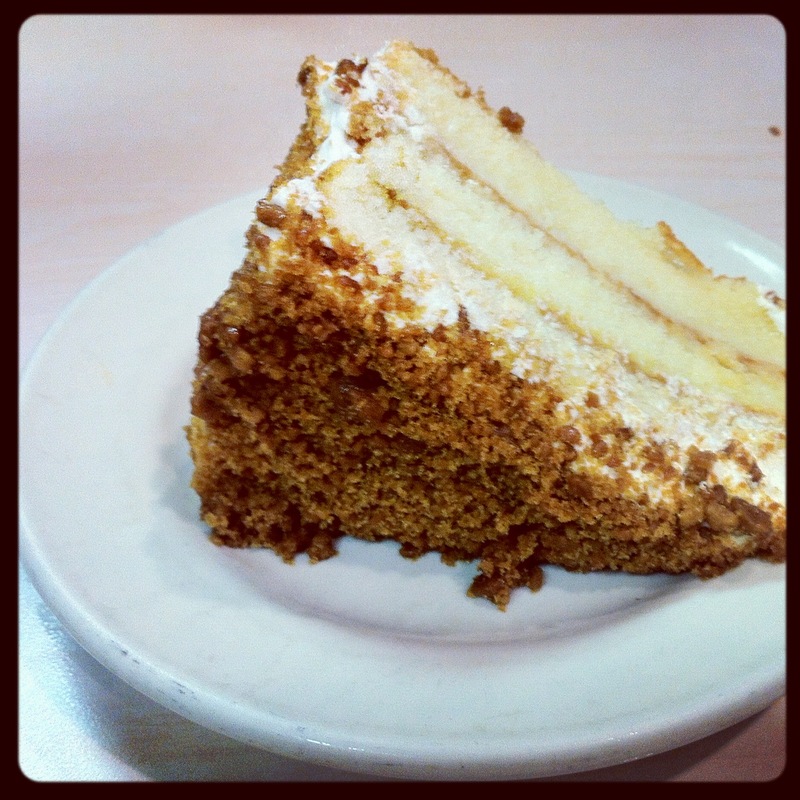 Aiea Bowl is also known for their baked goods, including the famous lemon crunch cake. Make no mistake though, this is still a bowling alley and there is nothing glamourous about that. But if you’re looking to check out the local scene and try some good food, head to Aiea Bowl. 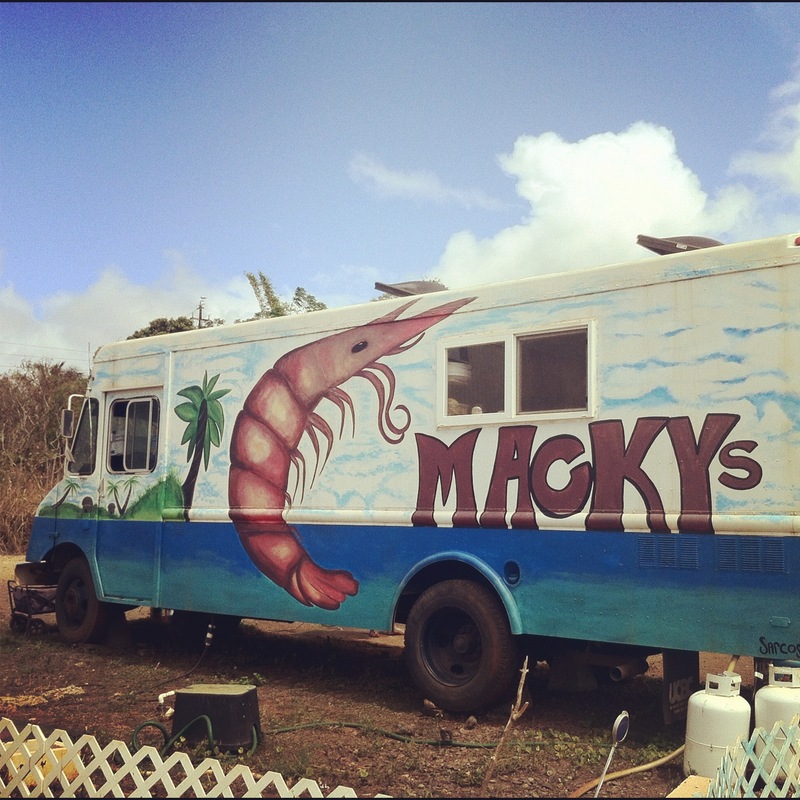 The North Shore is known for its delicious shrimp trucks, and Macky’s happens to be my favorite. The best dish is the garlic butter shrimp–hands down.